← How to convert OpenOffice documents of ODT to CIN? Only three steps, you can convert OpenOffice document of odt to fax easily. But at first, you should choose a right and suitable application. In this article, you will see the introduction to the document converter docPrint Document Converter Professional and the steps about the the conversion from odt to fax. What is docPrint Document Converter Professional? docPrint Document Converter Professional, also called as docPrint Pro for short, is a professional document converter which can convert any printable documents to image formats. Such as OpenOffice to JPG, Word to BMP, Excel to PNG, PDF to MNG, etc. With three applications in docPrint Pro, the users can choose any application according to different remands. For example, the GUI application is an excellent application in batch conversion. The command line application may be an assistant to the software developers. The virtual printer application can be used to scale page size, which can save paper and ink. If you want to convert odt to fax, you can also take the virtual printer docPrint as your helper because it is not only a printer but also a powerful document converter. How to convert odt to fax with docPrint? Please open the ODT document to be converted and you should run the printer driver by clicking “File”—“Print” to open “Print” dialog box. In the “Printer” combo box, the printer “docPrint” should be chosen. Then please click on “Save” button. If you don’t like this way, please use the hot key “Ctrl”+ “P” to open the “Print” dialog box. If you have set docPrint as the default printer, please right click on the ODT document and click “Print” option, which can help you run docPrint directly. Then the popup “docPrint” main interface will be a guide for you to open the “Save As” dialog box in which you can set the parameters to the target file. 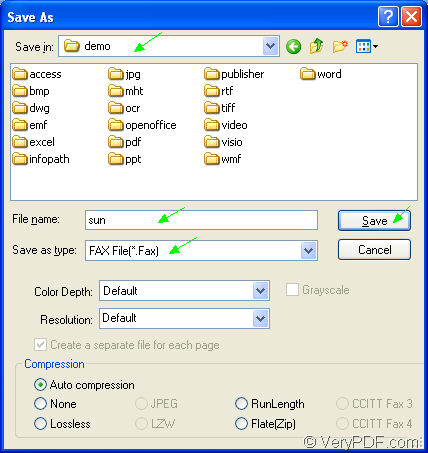 You can click “File” and click “Save as” to open “Save As” dialog box or use the “Save File” button locates in the toolbar. The hot key “Ctrl”+ “S” combination will always be a good method. The last step is to make some changes to the target file in “Save As” dialog box. 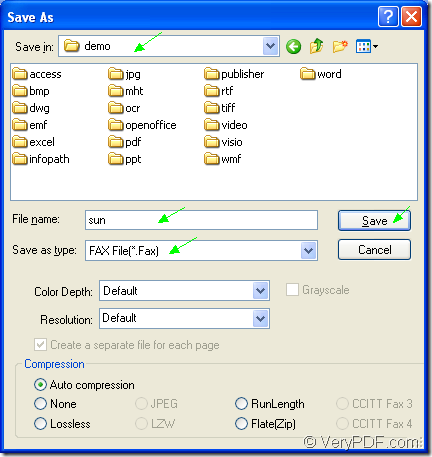 To finish the conversion from odt to fax, you should: Choose the location for the output file in “Save in” combo box, edit the name for the output file in “File name” edit box, specify the right output format in “Save as type” combo box and click “Save” button. For you better understanding this step, please see the “Save As” dialog box in Figure1. As the finishing of the conversion from odt to fax, you are able to find the target file in the specified location. If you still have some questions about the application, you can leave some messages. To get some more information about docPrint Pro, please click here. How to convert Word to PS via command line? This entry was posted in docPrint Pro and tagged odt to fax. Bookmark the permalink.